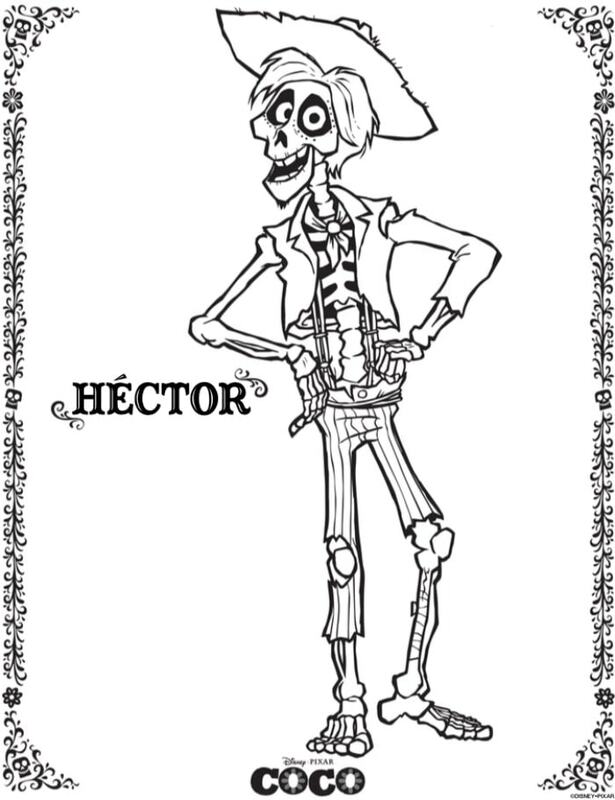 Beginning November 22, Disney Pixar will pay a beautiful homage to Mexican culture in the new movie Coco- celebrate with these coloring sheets. 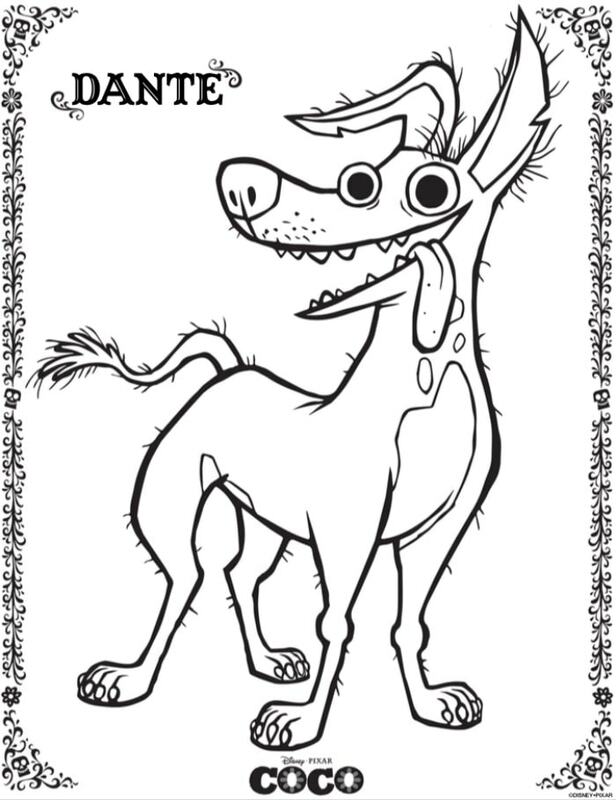 It’s absolutely no secret that I am a complete and total Hispanophile. I LOVE Latin culture- music, dancing, food, the language, and especially the colors. I also love pop culture- film, music, television, books- anyhtig that allows me to escape from reality for a moment and live in a truly magical world. 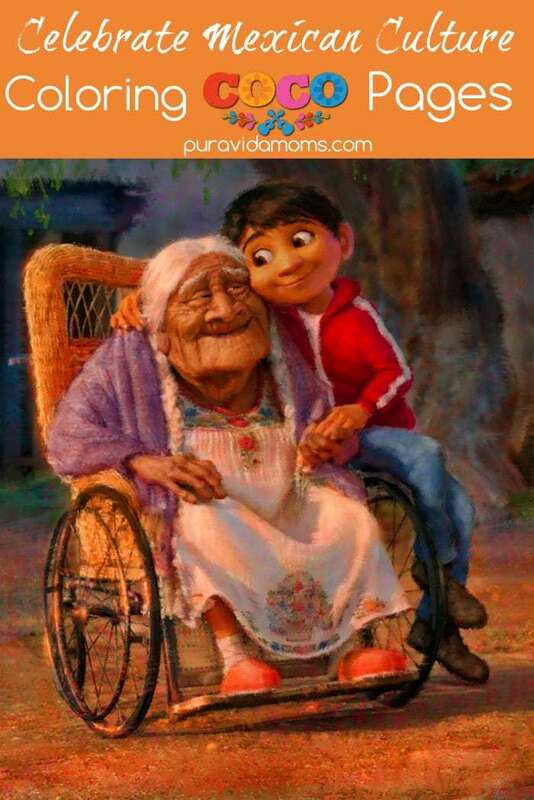 Disney is truly the master of escapism, and I’m SO EXCITED to see how they incorporate Latino culture on the big screen with the new movie Coco- I know it will be perfect. Just check out this trailer. 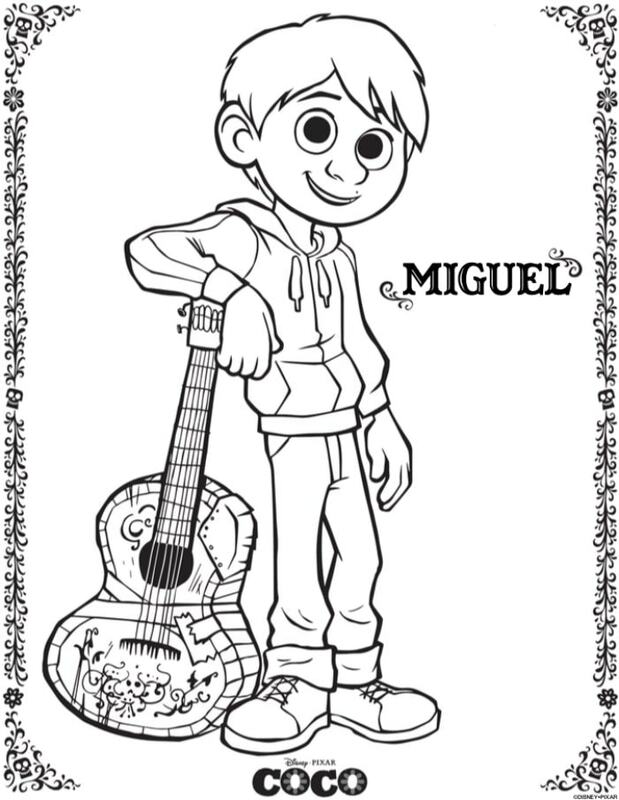 So at Casa Pura Vida we are getting ready for the film as much as possible- and that includes enjoying activities using these awesome coloring sheets of each of the main characters in the film. 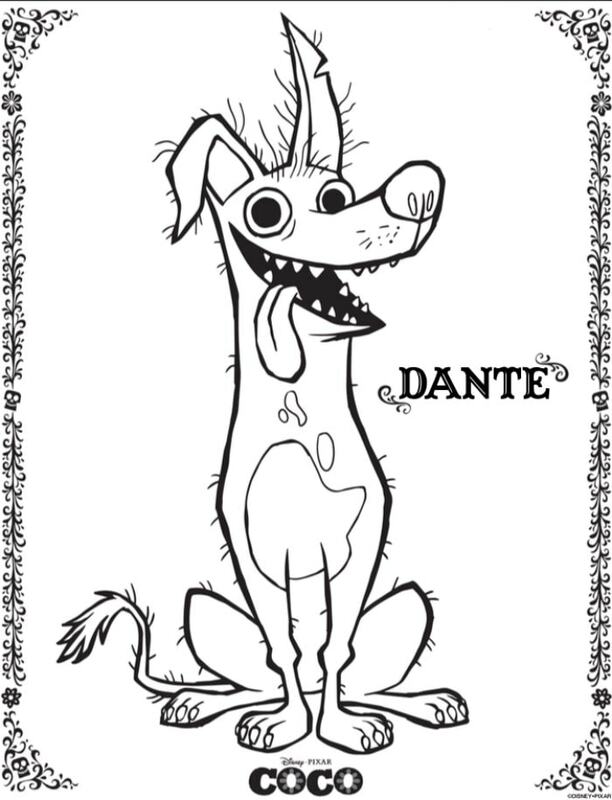 Just click on the image of the coloring sheet you would like to print! There’s all kinds of cool info about the movie’s opening- including the holiday featurette “Olaf’s Frozen Adventure” that will debut before Coco. AND- the movie will World Premiere at the Morelia International Film Festival in Mexico City on October 20th. EEEK- trip to Mexico anyone? 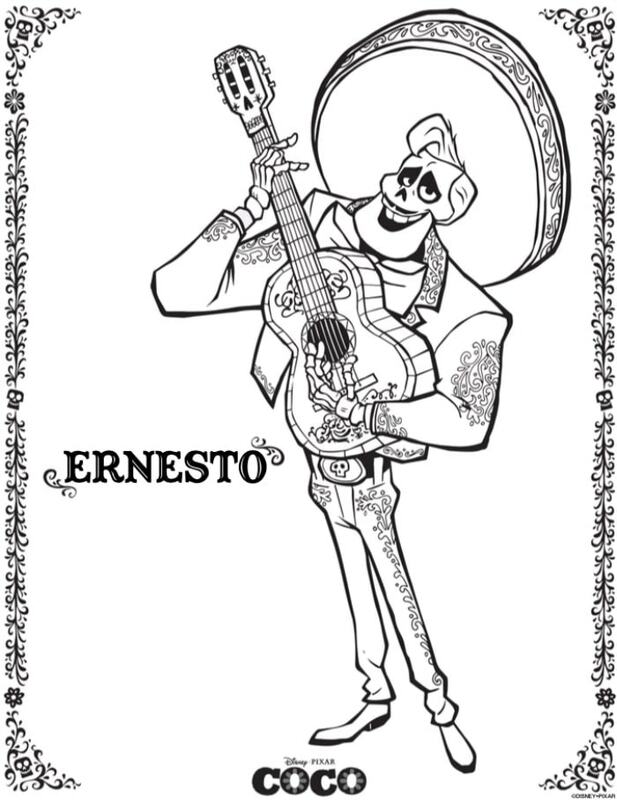 Don’t miss any Coco news- follow the movie on social media! Looking for more Disney content from Pura Vida Moms?